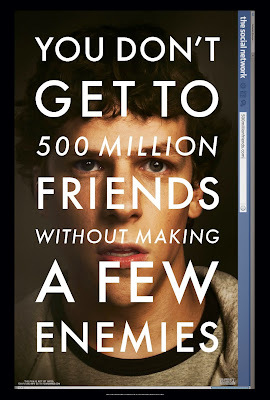 It should be no surprise that a film like the Social Network would eventually be made. Again. It is a story, as you will notice, if you see it, told over and over again. But, it is a story we like to hear, a story of greed and loss. The story of a man’s quick climb to power and wealth at the cost of losing friends and intimacy has found more than one expression in American cinema. Citizen Kane anyone? Or how about The Godfather? The snapshot images of a solitary Kane whispering "rosebud" is strangely resonant with that of Mark Zukerberg clicking a refresh button for hoped for human connection. Now, don't go worrying about whether the plot of the Social network is accurate or not. A simple Google search will reveal some of the plot is contrived, most notably the first scene that pretends to create the imbroglio that starts TheFacebook, namely, a break-up. The film is not too slow to remind us that its protagonist is not very likable. In fact, he is a jerk. Sexist, as well, and has a penchant for younger Asian girls, albeit an unnerving social awkwardness stereotypical of boys who write programming code. Aaron Sorkin's masterpiece is not really about Facebook, per se, but rather, an opportunity to elaborate on an American myth. Sure, we will believe -- or shall I say -- can believe -- Mark is painted to be the kind of guy who would sell out his friends. The lawyer at the end of the films acts as the audience when she tells Mark, “Myths need a devil.” Give us -- the audience -- enough details and we will gladly fill in the rest. The indictment of Mark Zuckerberg really isn't about Mark Zuckerberg so much as it is about fascination with greed and power. Let's say it wasn't Mark Zuckerberg who created a website called facemash.com where Harvard girls were compared online to one another by Harvard boys (22,000 page views in one night). Let us say it wasn't Zuckerberg who may or may not have posted a blog post confessing his ex-girlfriend's true bra size. Let us say it was not Zuckerberg who may or may not have called the cops on Sean Parker who was with a minor at a party with illegal drugs (with Zuckerberg in the know, but in absentia). Let us say Mark had no idea that his best friend Eduardo Saverin would be pushed out of Facebook, rather mercilessly. It doesn't matter. Facebook is fascinating because a lanky, unlikeable Harvard nerd made it to the top. The key term is unlikable. When we realize it was not the more courteous Saverin who brought Facebook to fame -- nor was it the Winklvoss Brothers -- or anyone else at Harvard -- we realize that Mark Zuckerberg is kind of like a contemporary version of Charles Foster Kane. What is next? Will he fight for the common man? Well, sure. He already has. Who gave 100 million dollars (or some outrageous figure) to New Jersey public schools? Mark Zuckerberg! Zuckerberg's philanthropy -- disingenuous or not -- is a necessary element in the narrative. I cannot help but think of Charles Foster Kane's historical inspiration, William Randolph Hearst and his philanthropic effort to save New Yorkers from transit fare raises. But, we know from history, neither Mark Zuckerberg or William Randolph Hearst were experts in ethical do-gooding. Being sued by the Winklevoss brothers, handsome rich rowing twins from Harvard for purportedly stealing their idea of a college social networking site, Mark is happy to make them angry because, as he says, they never had the experience before of someone else stopping them from doing what they want to do. The creation of Facebook on hand is like Charles Foster Kane's beginning glory: the icon of the wealthy philanthropist who used power to shame the good ole boys. But, there is also the dark side. He betrays his friend. 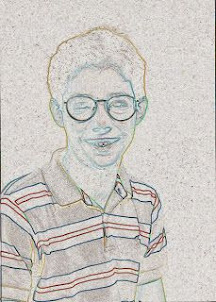 His only friend, Eduardo Saverin. The film takes on an uncanny color of American myth. Watching the film, I felt like I was not watching a biopic of a guy who created a social networking site I use daily, and like very much, but the story of the American Garden of Eden -- the lust for power that make such stores as John Steinbeck's The Pearl and East of Eden. The American dream also spoiled and tainted by American lust. The American trope of succesful, yet disconnected, as also embodied by the current TV character Draper in Madmen. This is the dilemma of the film. How can a man create a social networking site and make billions and billions of dollars and know nothing of human nature? Knowledge of human nature does not bring in the dough. Why? Because people do not care about human nature; we care about as a gestalt, but not as something to grasp. We care about status and tags because it feeds our self-image. We like the likes and the words on our walls because it makes us feel connected when were are not connected. I don’t think Mark Zuckerberg created facebook as a huge social experiment. He created it because he realized that the site could make him famous. Which it did. Or, to put it another way, it justified him. Because he deserved it. Right. Steve Jobs did not create Apple in his garage because he thought it would be fun to sell computers. He had an intution that his computers would catch on with the masses. Zuckerberg is a genius in the same way. The film the Social Network is everything about Mark Zuckerberg and at the same time it is nothing about Mark Zuckerberg. The film is about genius and the ability to see a pathway that no one else sees and go for it. But, the film, for me at least, is also about the price of ambition. A narrative truly American. And we a jury of peers, can easily judge. Columbia Pictures presents a film directed by David Fincher. Written by Aaron Sorkin, based on the book The Accidental Billionaires by Ben Mezrich. Running time: 120 minutes. Rated PG-13 (for sexual content, drug and alcohol use and language).